Christopher Freeth is a Senior Associate in the Intellectual Property team. Chris advises clients across a range of both contentious and non-contentious matters concerning all IP rights. He has particular experience in patent litigation and regularly works with clients in the life science sector, using his experience both as a lawyer and a former medical student to provide tailored, sector specific advice. Chris' practice covers both litigation and non-contentious matters. His litigation work ranges from large scale patent litigation before the Court of Appeal to designs litigation before the IPEC, and non-contentious matters range from drafting commercial agreements and supporting billion dollar transactions, to reviewing and carrying out due diligence on intellectual property portfolios for all manner of businesses. 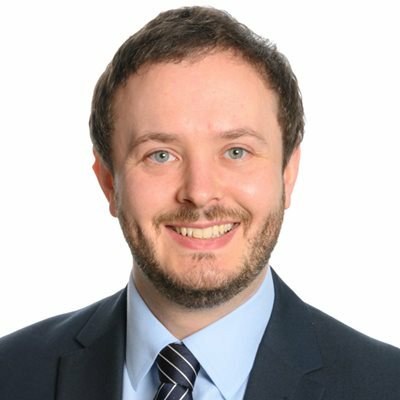 A highlight of Chris' work to date is Fujifilm Kyowa Kirin Biologics Co Ltd v AbbVie  EWHC 395 (Pat), on which he worked as one of the core associates for several years. Fujifilm Kyowa Kirin Biologics Co ("FKB") sought to clear the way of many, often changing, patents and applications filed by AbbVie in order that it could then launch a biosimilar to AbbVie's blockbuster, Humira (adalimumab). Humira, a biologic anti-TNFα drug, has a market worth over $16 billion globally and £400m in the UK alone, making this one of the largest patent disputes recently heard in the UK. Chris acted for FKB throughout the dispute, encompassing pre-action strategic advice, High Court litigation, multiple applications, and an appeal to the Court of Appeal. Ultimately the case resulted in new law with FKB being awarded the UK's first declaration as to the obviousness of its own products (a so-called "Arrow" or "Fujifilm" declaration). In addition to FKB's dispute, Chris recently advised a major consumer goods company on a dispute over the entitlement to patents relating to a well-known pharmaceutical product. He also advised a Russian company on an appeal to the High Court regarding the refusal to grant patents for a novel manufacturing procedure with roots in alternative medicine. Earlier in his career Chris assisted H. Lundbeck in defending a challenge to its patents for the blockbuster anti-depressant enantiomer drug, Escitalopram. He has also assisted on deals in the clinical trials space and supporting the corporate team and his IP colleagues on many deals. Chris has additional experience in the designs field, having assisted a major home products company on a design dispute in the IPEC earlier in his career, and more recently having advised a client in litigation relating to design infringement and the application of groundless threats to eBay takedown notices. Over the past few years Chris also advised a well-known technological innovator on the protection of its IP rights, managing part of its enforcement program across Europe and the Middle East.